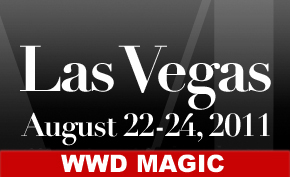 Charlene K will be at WWD Magic (Womens Wear Daily), Las Vegas Convention Center, Booth#1116 on August 22-24. Address: Las Vegas, NV 89109. WWD Magic is the trade show that presents the widest range of womens’ fashion and accessories. The show takes place within the show Magic Marketplace. Hundreds of exhibitors at WWD Magic display their collections in spotswear, casualwear, contmporary, lingerie, swim, accessories and footwear categories. For more information, call (949) 370-1130.